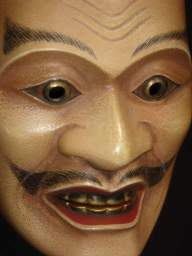 of mask He is a great-great grand son of Minamotono Raikou, and good at shooting arrow and waka (traditional Japanese poem of thirty-one syllables). The Noh play [NUE] story, there was a chimera; an imaginary creature (with a monkey's head, a badger's body, a tiger's limbs, and a snake's tail), It was said he had shot this chimera.which caused Konoe Emperor suffered decease.. He had tracked down Heike at Uji river battle, but he was defeated by Heike and he commited suicide at Byoduin leaving one poem. 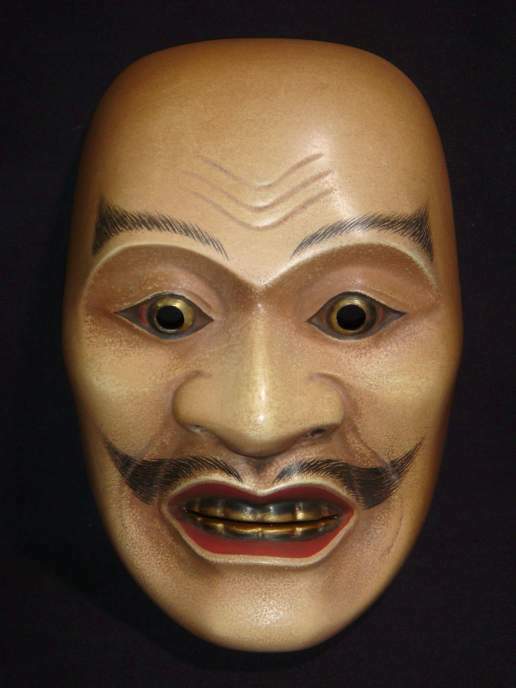 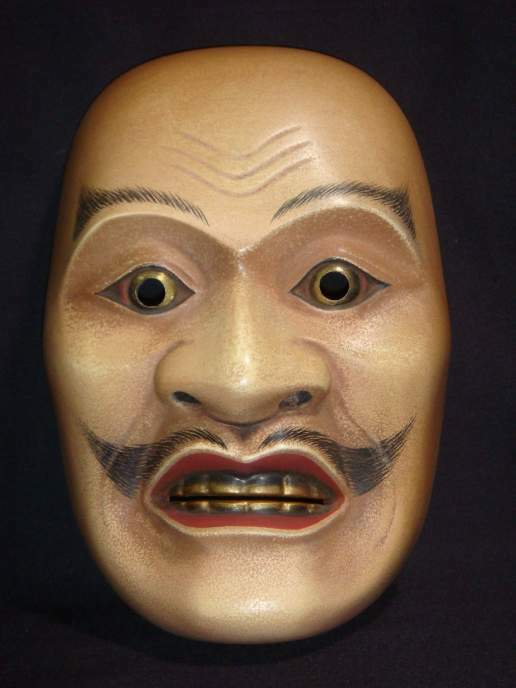 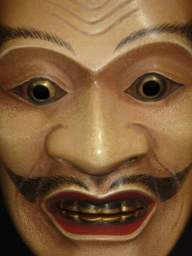 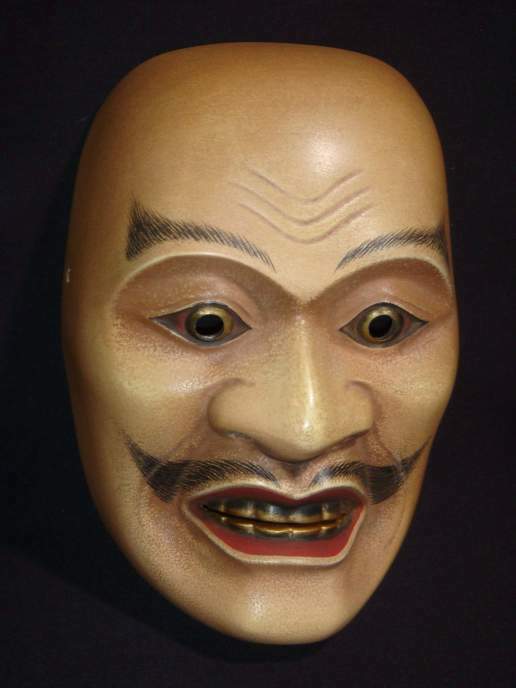 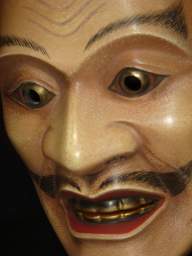 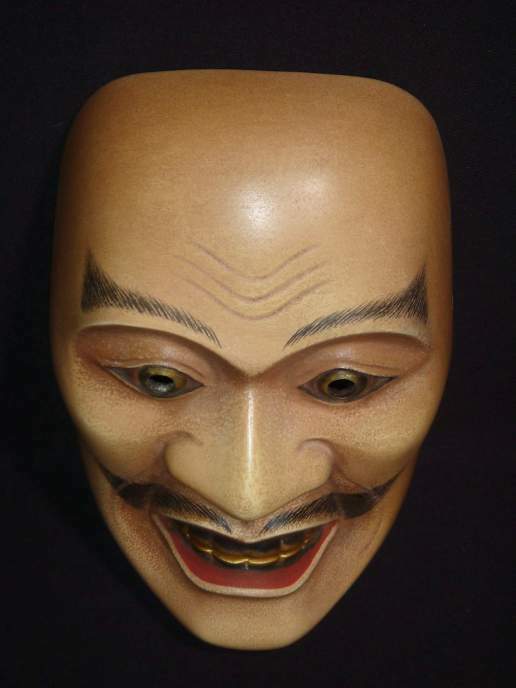 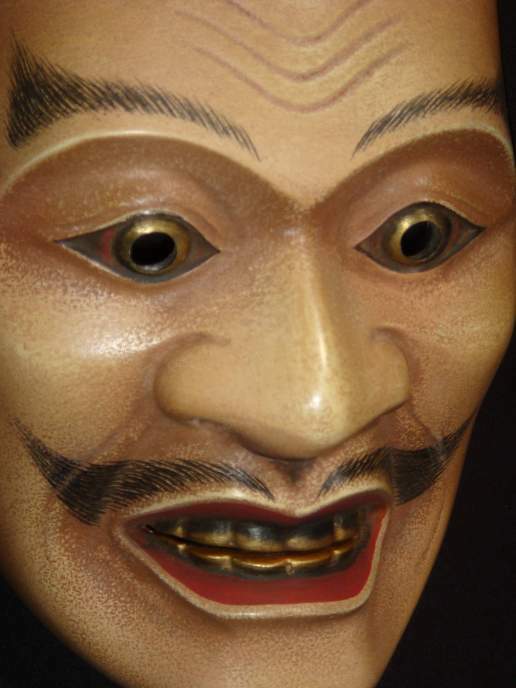 The feature of mask It was a face when he lost the batltle, when he was 75 years old.The eye is brass work, no hair at his head and temples, because he became a monk. 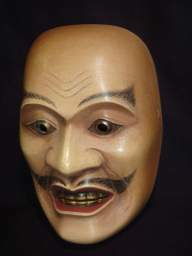 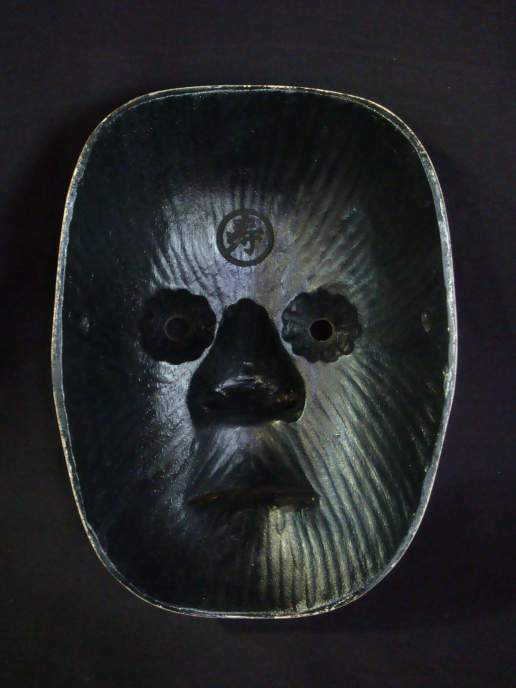 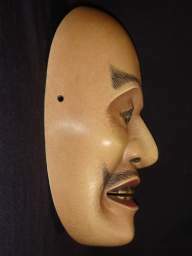 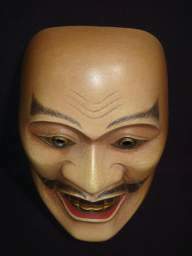 This mask represent an expression with hatred.